Head Coach and BFC owner. Coach Bin splits his time between Baltimore Fencing Center and his fencing clubs in China. Coach James C. Murray is a three weapon Master whose initial head coaching position was at Haverford College for twenty seasons. 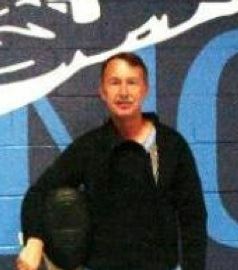 He was the women’s head varsity fencing coach at JHU for eight years. Jim coached the intermediate and master levels in foil, epee and sabre at the Virginia Academy of Fencing in Springfield, Va. Coach Murray also travels to North Carolina during the NCAA season to assist coaching the Division I team at The University of North Carolina practices as well as traveling to UNC varsity competitions. Jim trained as a Fencing Master at The American Fencing Academy, a two year program based at Cornell and was also an exchange student at Paris’ L’ Institute National de Sport, the French school for Fencing Masters. Under Coach Murray’s guidance, four Army Trophies as runners-up at the NIWFA (National Intercollegiate Women’s Fencing Association) Championships. and were named Top Division III Women's Team four times. Coach Murray has twice been honored as the MACFA (Middle Atlantic Fencing Conference) Coach of the Year (1982, 1992) while the coach at Haverford College (1981-2001) Jim has also coached at The National Sports Festival, assisted the US Team on international trips and served on several NCAA Regional Committees. He has been involved in countless training camps, clinics and Fencing Master examination boards in his coaching career. Jim also coached at Salle Santelli(’78-81) in New York City and assisted the legendary Maestro Lajos Csiszar at Salle Csiszar during his twenty years in Philadelphia. Coach Nic Alexe (Cockeysville) teaches Intermediate and Youth Competition Foil. Nic Alexe won the Romanian Juniors National title in 1969, at the age of 14. He was a member of the Romanian Nat'l Olympic Team (72-75) and active in Romanian fencing until 1986 when he relocated to the USA. 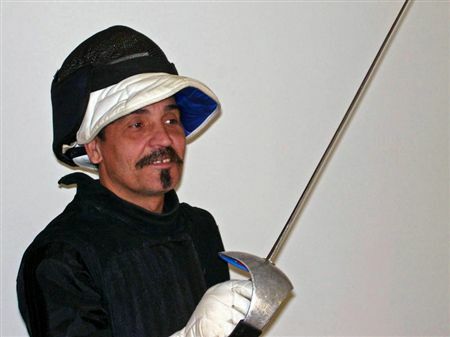 He is active in fencing instruction in the Lancaster PA area for 20 years before starting L'Equipe Fencing Club in Leola. Lauren Milligan began fencing while a student at Haverford College. After a 15-year hiatus to focus on career and family, she returned to the sport as a competitive fencer. She is an assistant coach in foil and epee. 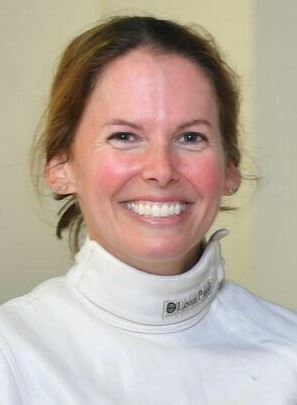 Lauren consistently finishes in top eight (foil and epee) at USA Fencing National Competitions in the veterans (40+) events. Russ Cain has been with the Columbia club since its inception. He started fencing for recreation in 1981 at the University of Virginia and has fenced on and off since then. He leads the Adult Intro Class, the Adult Beginner Level, and the Intermediate Foil classes in Columbia. He has successfully completed Level 1 Instructor training in Foil and Saber at the USFA National Coaching Development Program's Coaches' College. Russ maintains current Red Cross certification on CPR, AED, and Sport Medicine. 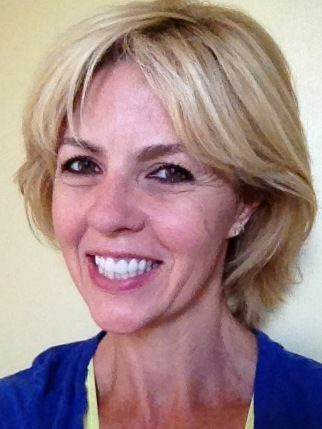 Coach Pam Dressel is an active women's foil fencer on the domestic foil circuit and international veteran circuit. She has been an instructor and coach of beginner and intermediate foilists since 2010. Her athletic career began with dressage and was an FEI dressage competitor. She completed the US Dressage Federation coaches training and is certified as a “Centered Riding” coach. She has been with BFC since 2010. Bruce Milligan has been coaching at BFC since the club's founding, and prior to that, was a high school and college fencing coach. In 1988, as head coach at Vassar College, he was named Mid- Atlantic Collegiate Fencing Assoc. "Coach of the Year." In 2002 and '06 he was a member of the U.S. foil team at the Veterans World Fencing Championships, placing 14th and 16th in those events respectively. Bruce was the 2011 U.S. Vets-60 Men's Foil National Champion, and placed 5th in 2012. Bruce is the former Director of Operations for BFC and is now coaching beginning through competitive level members. Coach Adrian Trenea is BFC's foil coach from Romania. 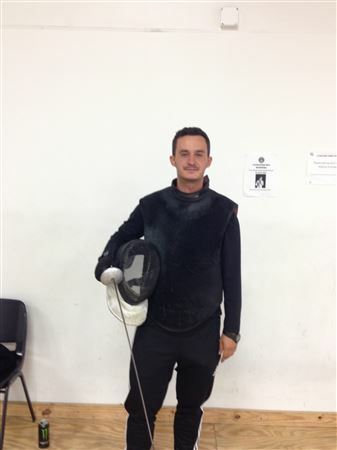 A Romanian national champion who has developed many top rated fencers in the US, Adrian coaches youth through veteran fencers.